Ready to book? Complete the Catering Request Form. Need more info about our services or menus? Use the navigation above to check out our Catering Menus! Want to chat? Contact us. Provide the most likely date if you haven't formally confirmed one. Give us a range if you don't have an exact number. Give us a range if you haven't decided yet. Tell us how we can make your event deliciously memorable! 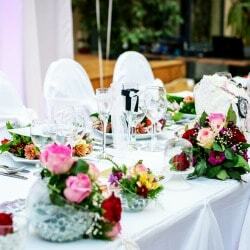 Describe your style, foods you love (or hate), any allergies or sensitivities, and how you picture a perfect event. On your wedding day, it should be all about the two of you. No worries, just joy. 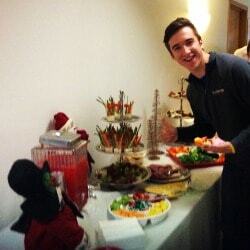 With Cookin’ Up A Storm catering, you can relax and savor the day while we treat you and your guests like royalty. Your employees do so much to make your business successful. Why not reward them with lunch or dinner catered by Cookin’ Up A Storm? Easy for you, fun for them. Everybody wins! Graduation is a major milestone in every student’s life. 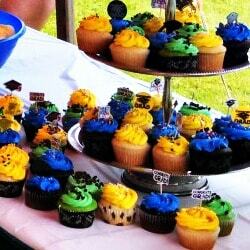 You can make the occasion even more memorable with a celebration catered by Cookin’ Up A Storm! We’ll cook while you congratulate. Our lives are filled with occasions that bring us together. 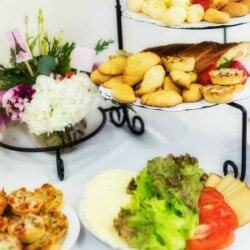 Casual or elegant, your event will shine with Cookin’ Up A Storm catering.